It's one of my favourite trends and synonymous with Spring and Summer. 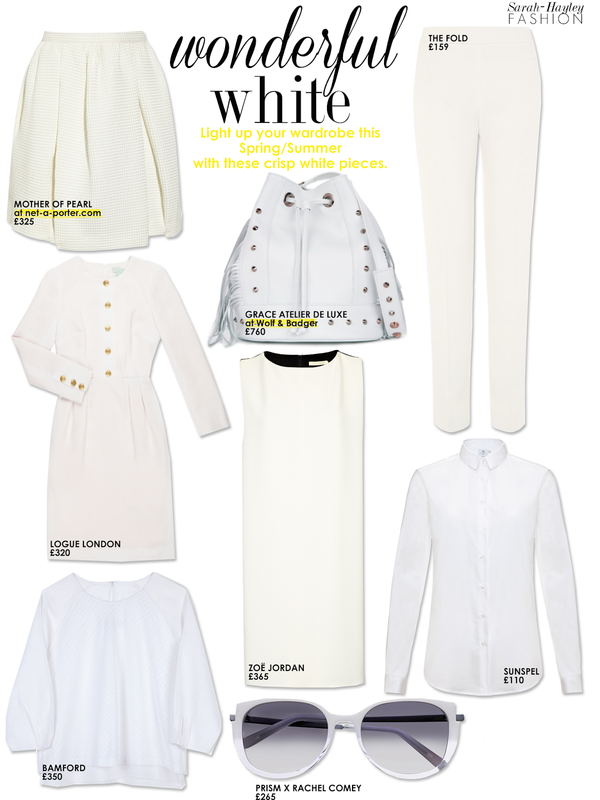 Practically every collection featured the revivial of the white shirt, you can see my edit here. To adopt this fresh sophsiticated trend further attempt white with white. Although if you feel this is too hard to master (and to keep clean) team with black.